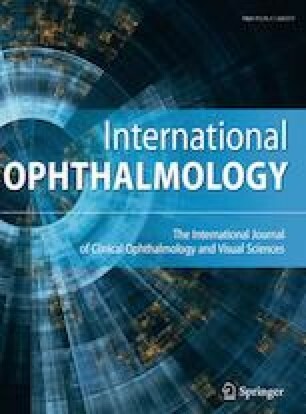 In this study, we compared deep learning (DL) with support vector machine (SVM), both of which use three-dimensional optical coherence tomography (3D-OCT) images for detecting epiretinal membrane (ERM). In total, 529 3D-OCT images from the Tsukazaki hospital ophthalmology database (184 non-ERM subjects and 205 ERM patients) were assessed; 80% of the images were divided for training, and 20% for test as follows: 423 training (non-ERM 245, ERM 178) and 106 test (non-ERM 59, ERM 47) images. Using the 423 training images, a model was created with deep convolutional neural network and SVM, and the test data were evaluated. The DL model’s sensitivity was 97.6% [95% confidence interval (CI), 87.7–99.9%] and specificity was 98.0% (95% CI, 89.7–99.9%), and the area under the curve (AUC) was 0.993 (95% CI, 0.993–0.994). In contrast, the SVM model’s sensitivity was 97.6% (95% CI, 87.7–99.9%), specificity was 94.2% (95% CI, 84.0–98.7%), and AUC was 0.988 (95% CI, 0.987–0.988). DL model is better than SVM model in detecting ERM by using 3D-OCT images. I would like to thank M. Miki for creating the figures. All authors certify that hey have no affiliations with or involvement in any organization or entity with any financial interest (such as honoraria; educational grants; participation in speakers’ bureaus; membership, employment, consultancies, stock ownership, or other equity interest; and expert testimony or patent-licensing arrangements) or non-financial interest (such as personal or professional relationships, affiliations, knowledge or beliefs) in the subject matter or materials discussed in this manuscript. All procedures performed in studies involving human participants were in accordance with the ethical standards of the institutional and/or national research committee (Tsukazaki hospital) and with the 1964 Declaration of Helsinki and its later amendments or comparable ethical standards.